How are retailers dealing with growing parcel delivery pressures? Online shopping has soared in popularity over the past few years and no doubt it’s a trend that is going to continue. Everything from clothes and shoes to food and household items can now be bought online and delivered to our homes, and the benefits of doing so are numerous. It’s now far more convenient for people to open up a laptop and place an order than trekking to the shops, and it saves that person valuable time that can otherwise be spent elsewhere. Undoubtedly what attracts many people to shop online is the prospect of having their purchases delivered to them free of charge within just a couple of days and, if necessary, to return them for free too. Online stores such as ASOS, and brick-and-mortar and online retailers such as River Island and New Look, offer free returns for customers if they are made within a certain number of days, usually 28. But one of the problems with shopping online is never being 100% sure whether an item of clothing or pair of shoes will fit, given that you don’t get the chance to try it on. However, research has shown that savvy shoppers have found a way around this, but at a price to retailers. A survey conducted in 2014 by Fits.me found that buying an item of clothing in multiple sizes was more common than originally thought. When asked about the nature of their last online shop, the vast majority of people (75%) stated that they had bought one size of the item, loved it and kept it, but 10% of people had bought multiple sizes, kept the one that fit and then returned the ones that didn’t fit back to the retailer. News like this may dismay some retailers, or at least cause many to click their fingers and exclaim “that’s why they ordered so many pairs!”, but the fact that people are ordering several of the same item and then returning them several days later means that some retailers may be losing money to excess postage if free delivery and free returns are offered. Even if you enjoy a steady stream of customers to your website, constantly footing the bill can cause postage costs to become a black hole that you pour money into, and can quickly eat away at your profits. Fits.me found that 84% of the total shoppers surveyed said they hadn’t returned items, whether it was bought as a single or multiple. This means that three-quarters of purchases were successful, and 9% of customers who found an item unsatisfactory for any reason did not return it. But that doesn’t mean retailers shouldn’t try to make changes in order to cut costs. On getting wind of these kinds of tactics, the first instinct for many retailers would be to stop offering free delivery and returns, however this could actually be more detrimental than helpful. 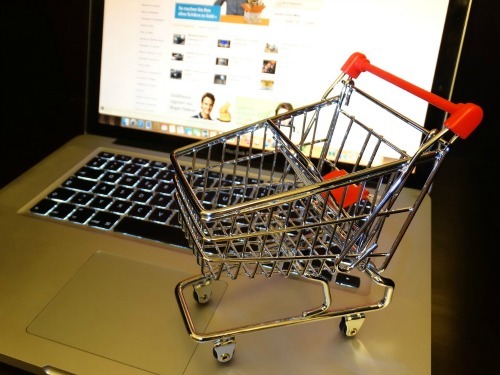 A study by the Baymard Institute has found that a huge 68.5% of customers will abandon their online shopping carts, usually because they’re suddenly hit with an unexpected cost. That equates to a massive amount of potential revenue that is lost for retailers, and while there are numerous reasons why customers will abandon their purchases, a high delivery cost at the end of the process can put them off incredibly quickly. Offering free shipping is bound to increase sales if you market it correctly, however, as it is the retailer who will be taking the fall in terms of costs, it is essential that providing this service doesn’t result in financial loss. Before you decide to offer free delivery on each and every one of your items, first consider the profit margin. If you’re going to be taking a loss or only just breaking even, the completely free delivery isn’t really a viable option. If it’s a close call, consider trialling free delivery for a while to see if it results in a sales boost; also a great way to attract new customers. Items that are small and lightweight are usually the best candidates for free shipping, however offering free delivery on orders over a certain amount is also a great tactic to encourage customers to spend more. It’s all about weighing up the type of business you are with the products you sell. Before you make the decision to offer free shipping throughout your business, it is essential that businesses don’t just opt for the first courier company they see, as they may not be offering the most competitive price. During your trial period, shop around for different couriers using a delivery comparison to gain a more rounded idea of what your shipping costs will be, and whether you can afford to offer free delivery permanently. Regardless of who is paying for shipping, communication with your customer is essential throughout the entire process. Free delivery doesn’t always mean slow delivery, and retailers need to state exactly how long items could take to arrive. That way, your customer’s expectations can always be easily managed and you can work to go above and beyond for them.